"Everyone understands that Naval Service life demands a lot of the individual sailor or marine, and the Service seeks to support each individual as best it can. But there is only so much it can do within its direct means. At the same time every sailor and marine brings with them into Service life their family. And it is often they who bear the brunt of long separations, disrupted family life, and the subsequent challenges of moving on into civilian life, as all must do. As Elly put in her speech on board HMS VICTORY in June to members and prospective members of Nelson’s Company: “Boy does the Navy come first’. In the first 16 years of our married life, the longest period we spent continuously together was 5 weeks. Ben missed frequent holidays and family events (including the birth of our second son), but we were lucky to be surrounded and supported by friends and family to help share the burden. Others are not so lucky. So while we were aware of a variety of naval charities offering great support to those in need, the specific nature of many meant, rightly or wrongly, we felt they had little to offer us and were unaware of how to access them. RNRMC is different and this is why it matters so much to us. It is the Naval Charity which seeks to support all those, serving, retired and families, in all ways imaginable. Provision of community centres and accessible family accommodation in the Naval bases, relationship counselling and assistance for those suffering from life-changing moments, or helping enable memorable families days on board or within units, are but some examples of how the charity seeks to support every facet of Naval Service life. And should the worst happen and someone die in Service, it will, unquestioningly, give financial support in those early days of grief and uncertainty. 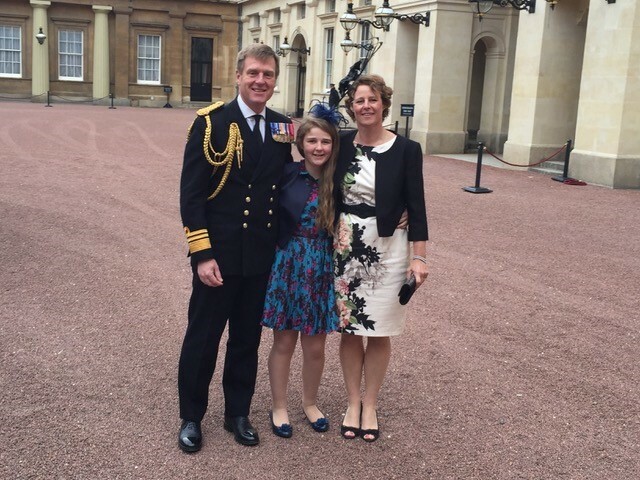 In short, whether from our perspective as a naval family, or Ben’s as a senior officer, we are deeply aware of just how much the RNRMC does to help and support all those who serve and the ones they love. It is a crucial part of the Naval family and real force for good. Which is why we are so proud to support its work and be members of Nelson’s Company"